As the January chill began to bite around the Barbican, Sir Mark Elder and the Britten Sinfonia summoned memories of spring and summer – but of sunny seasons overshadowed by the electric crackle of storms. On the face of it, they offered us a pleasing, even serene, pastoral spread to mitigate the chill outside. It began with Britten’s late folk-song suite and continued through early Mahler songs to conclude with Brahms’s bucolic Second: one of the cycle of Brahms symphonies that Elder launched last year with this tight-knit and fine-toned ensemble. Although Elder – whose unfussy authority just grows by the year – sculpted a succession of wonderfully rich scenes from this musical landscape, the sheer drive and focus of his music-making meant that the evening of country matters passed without a loose or lazy page. Completed when he already knew or sensed that he had not long to live, Britten’s Suite on English Folk Tunes: “A Time There Was” features orchestration of a growling and jabbing unease. It could hardly sound further from the nostalgic thatch-and-maypole idylls of his immediate English predecessors. Mahler at his bitterest seems to lie behind the menacing drums and raucous trumpets of “Cakes and ale”. The harp-and-strings fantasia of “The bitter withy” nods to a Vaughan Williams-esque rusticity only to wreck it with ironic mischief in the scoring. For all its late-20th-century sensibility, the suite does summon the past in some teasingly clever passages. Hear the way that the woods evoke braying Tudor sackbuts in “Hankin Booby”, or the reeling frenzy of “Hunt the Squirrel”, with its zesty call-and-response dialogue between the Brittens’ ever-supple strings. Ancient and modern fuse in the haunting finale, “Lord Melbourne”. That sinuously beautiful old tune becomes – thanks to a deeply expressive cor anglais solo from Emma Feilding – the mysterious vehicle for the private journey of some distinctly modern soul. 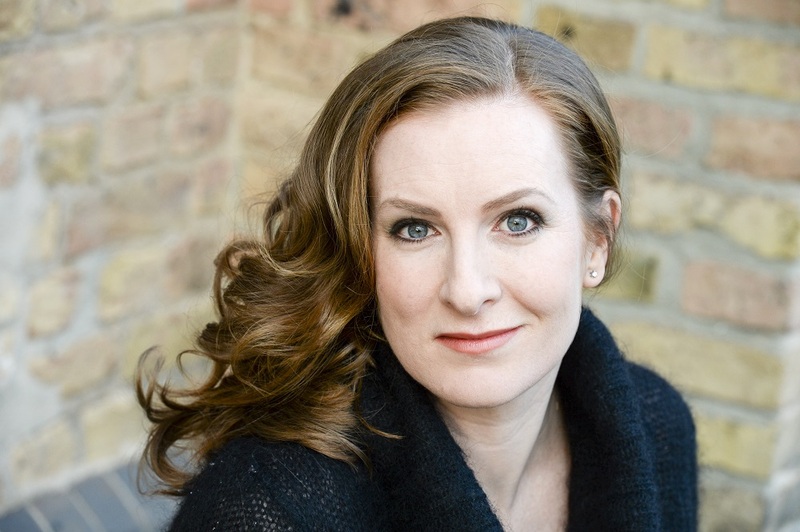 With Anna Stéphany indisposed, the Irish mezzo Paula Murrihy (pictured below by Barbara Aumüller) took the reins for Mahler’s Lieder eines fahrenden Gesellen. These youthful songs of a wayfarer hardly allow themselves a second of sun-dappled early-one-morning bliss before thoughts of abandonment, suffering and suicide hijack the mock-folk lyrics (the composer’s own). After some initial glitches with balance (to my ears, at least), Murrihy slipped into a partnership with the orchestra – with confident, bright-toned, even cheeky, woodwinds to the fore – that let these dialogues of doom unroll in all their strangely exhilarating morbidity. Murrihy wrapped sweetness around anguish in the yearning high notes of “Ging heut’ Morgen über Feld”. She wrung every inch of melodramatic colour from the lurid misery of “Ich hab’ ein glühend Messer”, and sailed powerfully across the sinister orchestral tutti as that song closes. The farewell pathos of “Die zwei blauen Augen von meinem Schatz” signed off the sequence, with the soothing lilt and swing of the instrumental parts undercut by the mezzo’s plaintive lament – like the forsaken call of some widowed forest bird. The smaller-than-usual forces that Elder gathers for his Brahms hints at the wish to deliver some stripped-down and austere version of the symphony. However, even if the Britten Sinfonia lacks the numbers we sometimes expect for such a favourite blockbuster as the Second, this was no meagre diet version of the work. With the terrifically alert and robust woodwind making their presence felt behind, the 20 violins of the Sinfonia – spread right across the width of the stage, with cellos centre and basses far right – achieved a richness and amplitude of sound that matched the impact of much bigger bands. Elder’s approach does impart a thrilling clarity and transparency to the orchestral textures, though. The creamy, glossy strings of the opening allegro crafted a lushness that never cloyed. Behind, the assured and relaxed horns – with Alex Wide superb in the solos – added refined punch to this pastoral voyage. For all its lucid articulation, and ear-opening concentration on fine detail, Elder’s Brahms doesn’t lack traditional weight or grandeur. The cellos and answering bassoons generated a sumptuous melancholy in the adagio, and that movement’s sudden breakdown into storm-and-stress felt as unexpectedly troubling as it should. In the dance-infused allegretto grazioso of the third movement, the hearty village stomp again let the bouncy, skipping woodwinds shine – above all the oboes. To finish, the finale featured some explosive string entries and propulsive rhythms that Elder steered with absolute control. This (relatively) slimline Brahms never felt underpowered. Neither did it make a fetish out of sheer velocity. Elder never dawdles, and never races, but he does know how to grab tired ears with subtle and surprising shifts of tempi. His world-class direction drew the best from an ensemble – dynamically led by Jacqueline Shave – that refreshed and renewed every bar. Roll on the Third and Fourth.